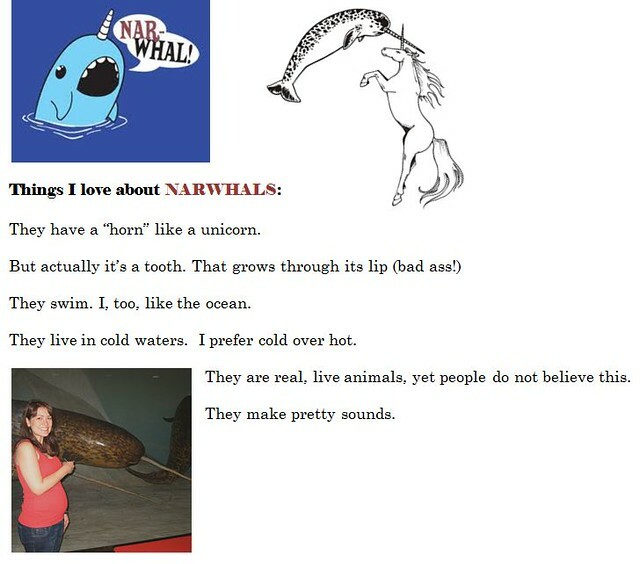 There was a documentary on Narwhals on BBC a few weeks ago and I thought of you! You would have loved it. They were all swimming together in a HUGE group. I think I have seen that one! Aren’t the pretty when they swim?! You are currently reading Day 14: Things I love about… at mingaling.